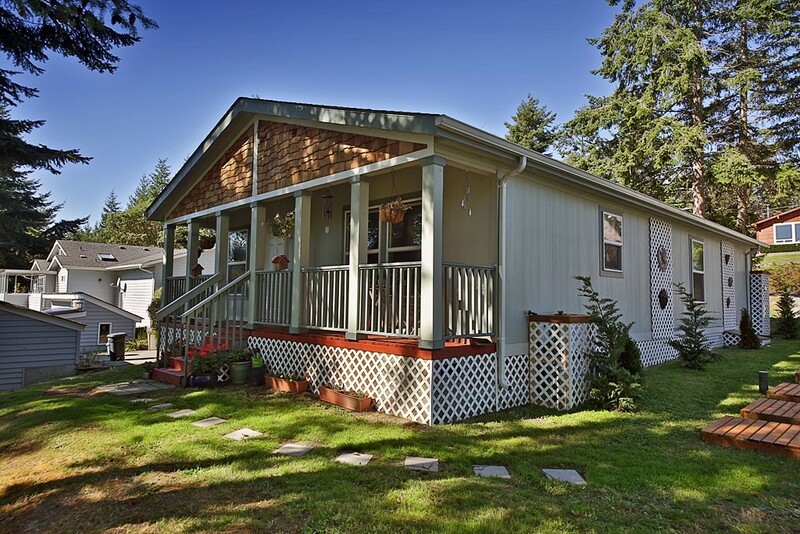 A lovingly cared for 2-bdrm, 2-bth home w/vaulted ceilings & a custom designed layout providing larger rooms than a typical manufactured home. Kitchen features a spacious dining area and open concept living room. Tuff shed on slab for great storage/workshop area. Fenced dog run. Combined lot for potential garage, RV/boat storage, garden, etc. Private beach/boat launch access. Close to Greenbank Farm, shopping, art, activities & hiking. Bring your boat, crab pots & come enjoy!